Gilt transfers (decals) are very delicate. Too much polishing by an over-enthusiastic owner is enough to remove them forever. This 1901 Sunbeam is one of the earliest from this famous marque that is known to have survived and, in addition, it has survived in remarkably good condition with all its transfers intact. 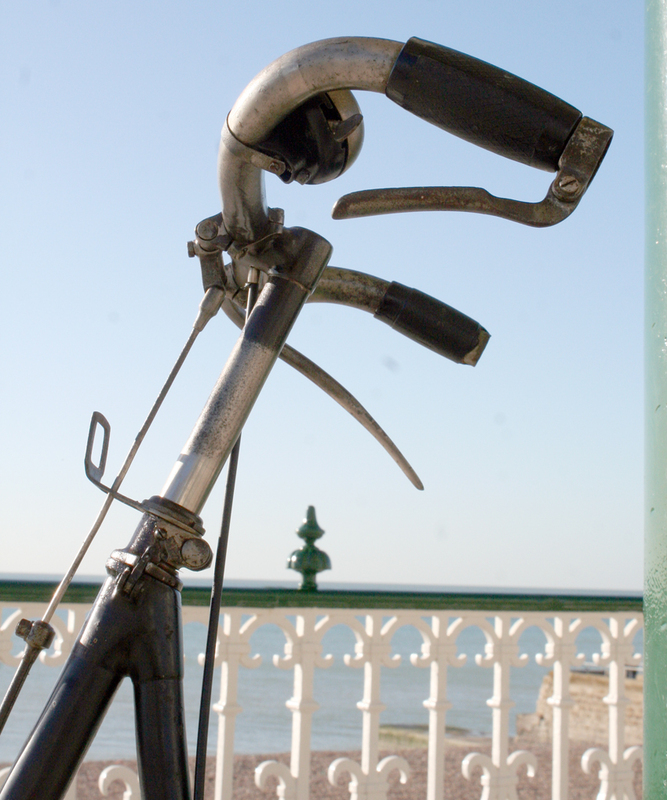 A 115-year-old bicycle with original paintwork and transfers is the ultimate treasure, akin to cocking a snook at Old Man Time himself. 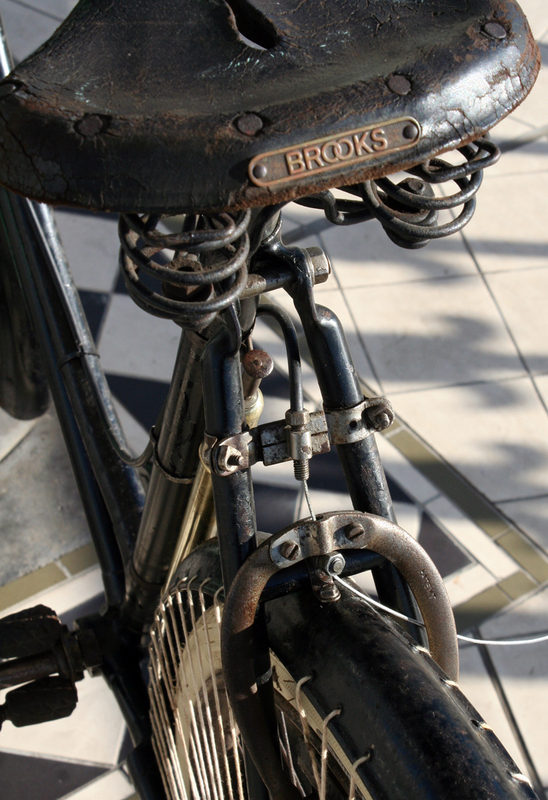 An interesting feature is the Roller Lever Front Brake & ‘Hand Applied’ (Inverted Lever) Rear Rim Brake. 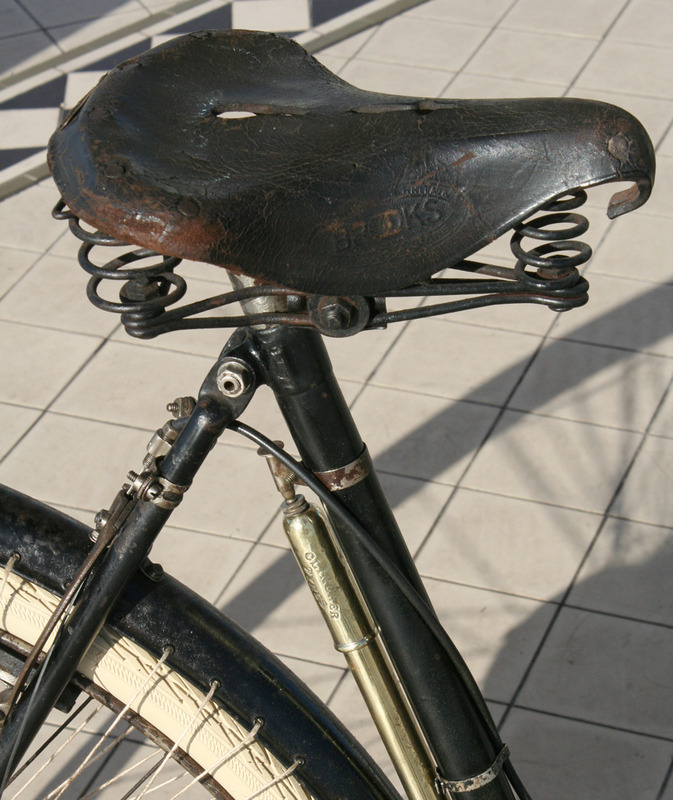 This bike has the interesting contrast of brakes and brake levers that seem to have been optional around this time. 3. 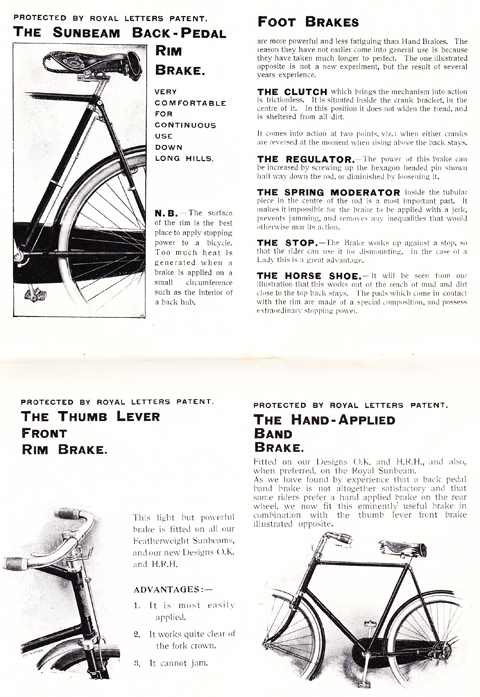 Instead of a Band Brake on the rear, it’s fitted with a cable-operated Rim Brake (see page below). 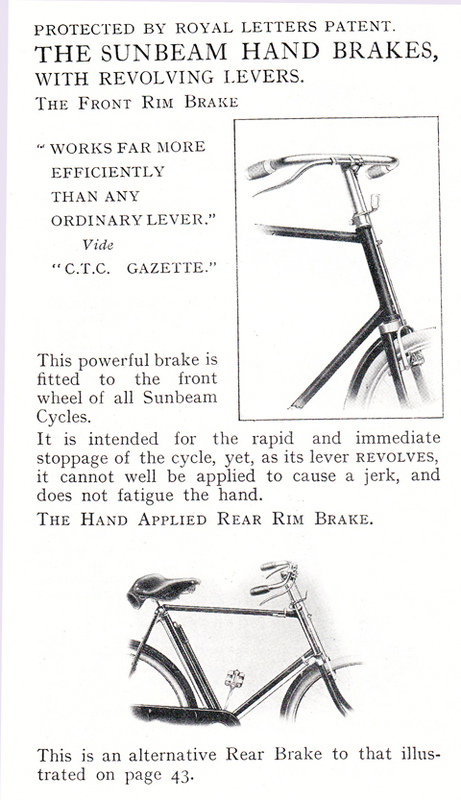 This combination of Sunbeam brakes and levers appears to be contemporary with the first few years of the 20th century. 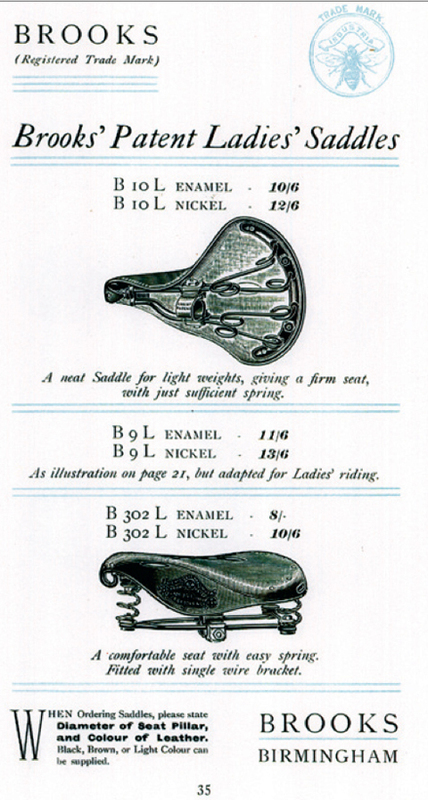 Sunbeams were one of the top British bicycle and cycle component manufacturers of the time, and these new innovations in brake design would have been available by special order should a customer wish to take advantage of them. The Royal Lady now has cream tyres. Some of these photos show her when I first became her custodian, in 2009, when she wore her older black tyres. On 2nd February 1901, Queen Victoria died. Great Britain was engaged in the Boer War. Butch Cassidy and the Sundance Kid held up a train in Wagner, Montana, and escaped with $40,000. Australia declared independence. 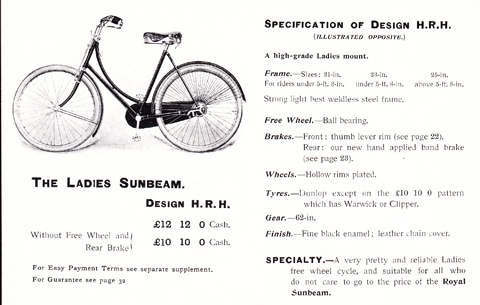 The first production car named as a Sunbeam was introduced in 1901, after a partnership with Maxwell Maberly-Smith. 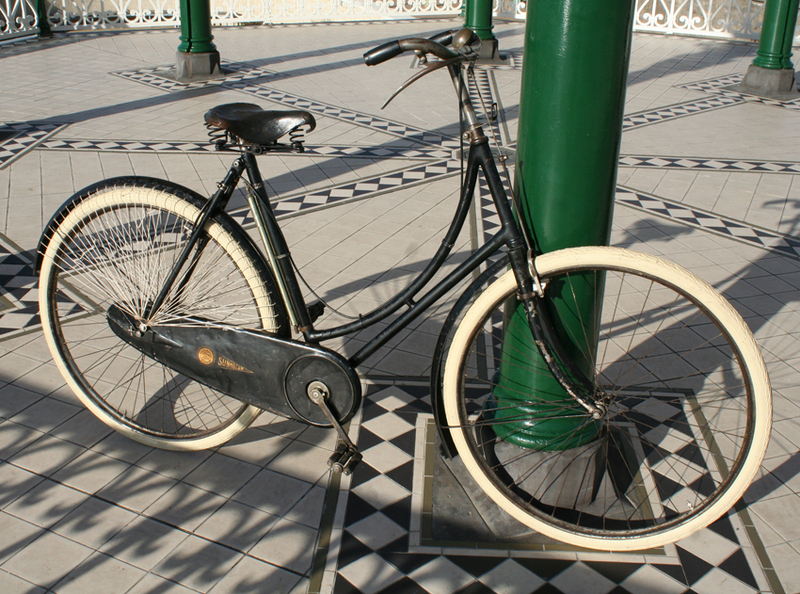 The design was unusual with seats on either side of a belt-drive powered by a single-cylinder 3 hp engine. 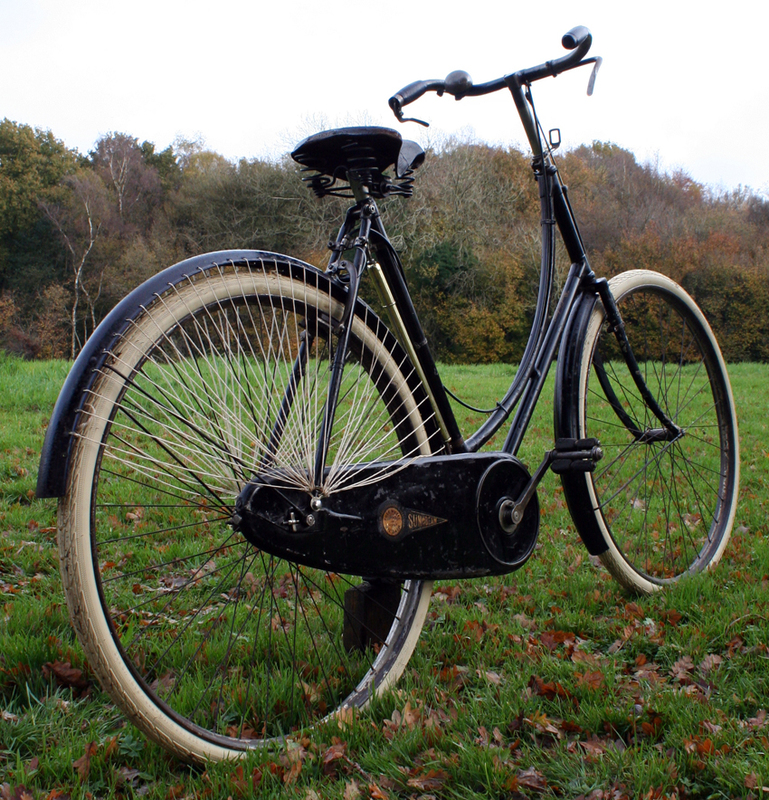 (Despite some early experiments with motorized bicycles, Sunbeam did not start making motorcycles until 1912). 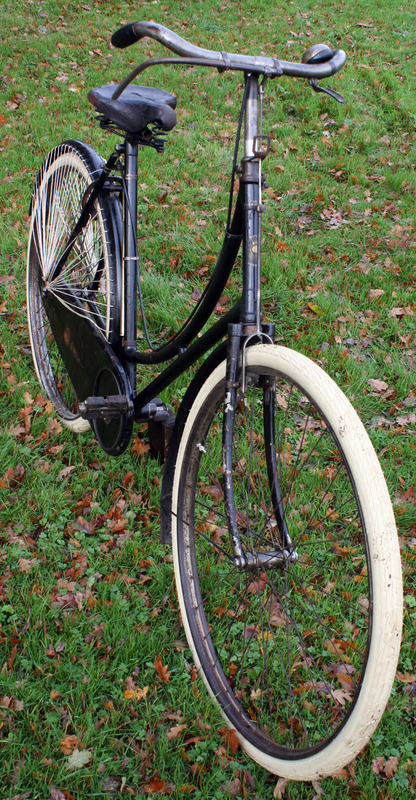 When this Ladies Royal Sunbeam was first ridden, roads were still dominated by horses. The speed limit for cars – ‘horseless carriages’ – was 14mph. 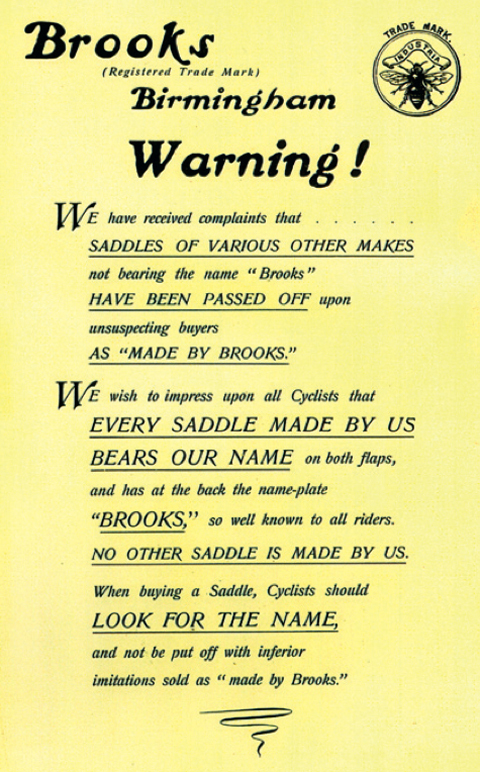 They were the last few years of ‘motoring innocence.’ But, since its debut at the beginning of the twentieth century, bicycle design has hardly changed. 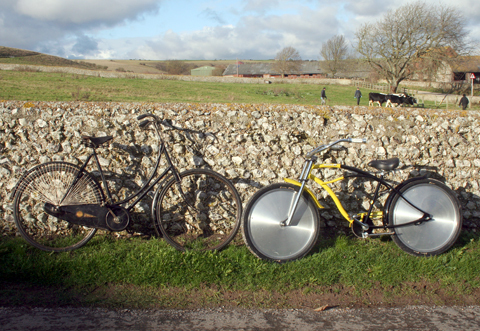 It’s pictured below with an American GT Dyno Mooneyes Cruiser built in 1999, at the close of the century.